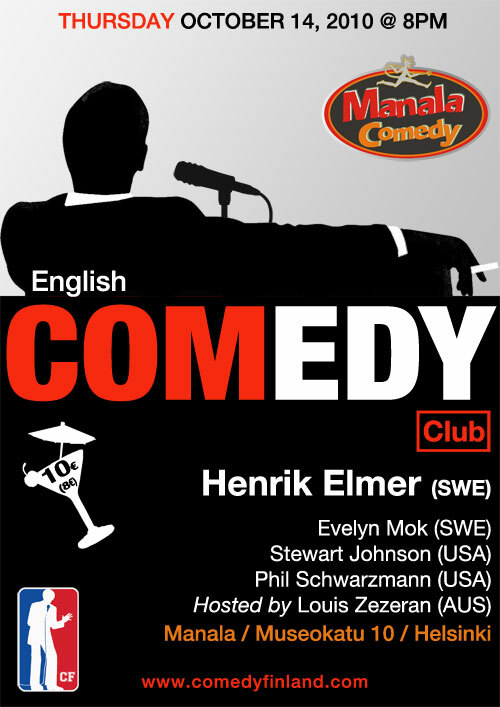 The English Comedy Club is at it again! 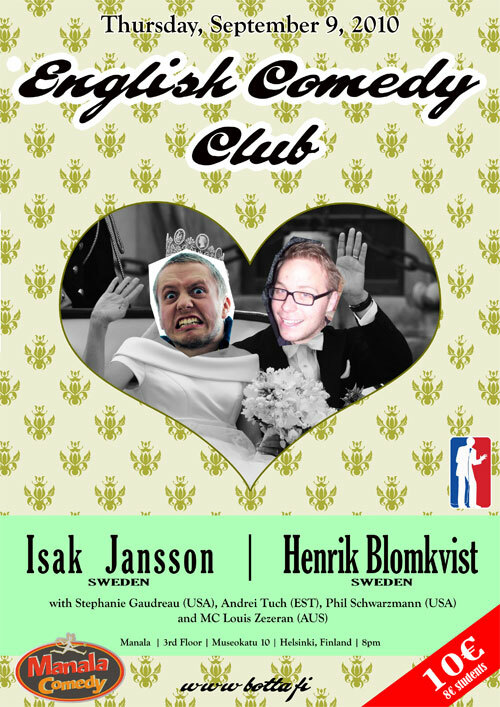 This month we have a couple hilarious comics from abroad coming to Finland for this very funny night. Check out the Facebook event for more info..! Show starts at 8pm. Tickets are just 8€ (5€ students) only from the door. Contact englishclub@botta.fi for more info or to book tickets!